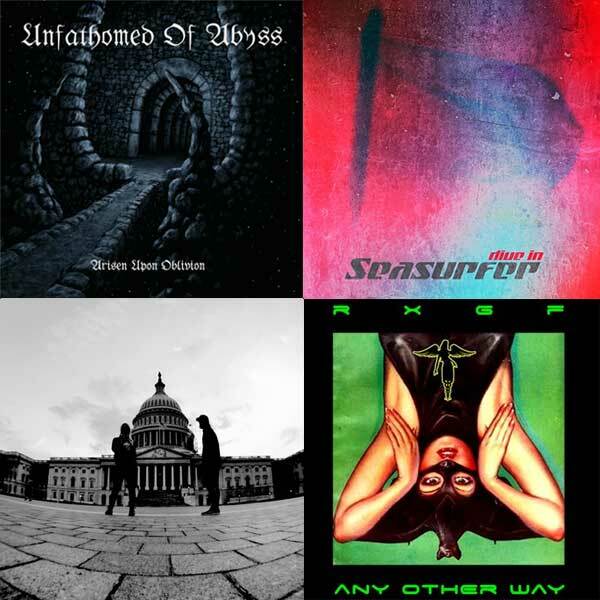 Short, but informative Reviews of Albums from Jucifer, RxGF, Unfathomed of Abyss, and Seasurfer. After the heavy sludge and lengthy tracts of previous release “There Is No Land Beyond the Volga” (which mapped out the injustices, atrocities, and unsung heroism during the Volgograd/Stalingrad wars in Russia), the world-wandering duo of Gazelle Amber Valentine and Edgar Livengood cranks it up to a frenzied level on the slammin’, raging, conflagrating, politically-dissenting (past history and current events) album “District of Dystopia”. Gazelle and Ed keep it lean and mean, with most songs running around the 2-minute mark; short, but definitely not sweet in the least. Gazelle rails rabidly while wrangling her guitar into a mangled, grinding growl while Ed’s jackhammers the drum beat and constantly abuses his cymbals. They have plenty to say via the lyrics but unfortunately, Gazelle’s unintelligible screaming obscures the incisive words. 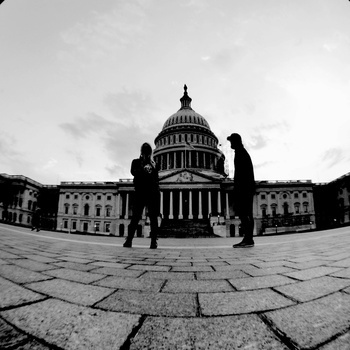 At Jucifer’s official Bandcamp page, however, the listener can read the lyrics that have been buried under a ton of sonic rubble, crusty, noisy production, and cathartic exhortations. The Brooklyn and Seattle-based band electro-darkwave outfit RxGF, has hit on a mesmerizing musical blend of gritty, driving electronics, bright blurs of sustained synths, industrial clamor, found sound spoken word, and stark, richly imperious vocals from Angeline Schaaf and menacing, deep vocal tones from RxGF’s founder John Morgan Reilly. 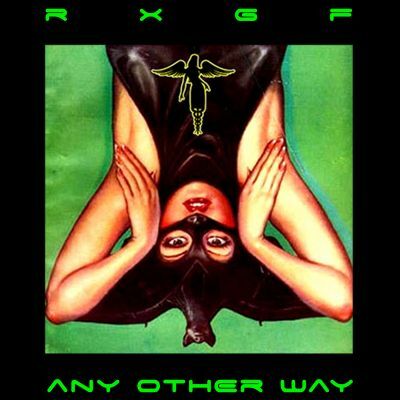 Anyone looking for a Garbage fix before that band’s next album would do well to sample RxGF’s wares. John is at the core of the band that also includes Jonathan Plum and Matthew Burgess. He previously released 2 stylistically different albums under the RxGF moniker before striking sonic gold with this mix of the electronic, industrial, and darkwave genres and Angeline’s Siouxsie Sioux-like vocals. The 3rd time’s the charm and RxGF should go far with its intriguing new sound. 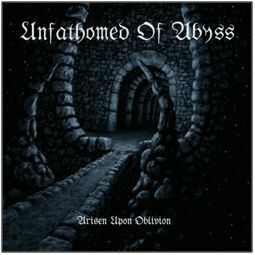 “Arisen Upon Oblivion” is a complex, changeable opus that hybridizes 2 highly different musical styles into one entity: black metal and symphonic strings. It has taken creator Kevin Price 14 years to bring it up from the sonic depths as he painstakingly labored over arranging the structurally intricate instrumental passages and apocalyptic vocals. He enlisted Kevin Talley to play drums during the recording of the album, but otherwise it’s all Kevin Price on guitars, bass, vocals, engineering, and album artwork. While there’s no denying the accomplished musicianship on display, the listening experience is another matter. The melding of contemplative orchestral strings and hymn-like synths with unrelenting blast beats and demonic, throat-shredding vocals is inherently incongruous, and when it’s stretched out over 6 lengthy tracks, it becomes overwhelming. But maybe that’s the point. Kevin Price has stated that his intent is to “mentally reassemble and spew upon the world the horror, the malevolence, and the majesty of the universe.” Mission accomplished there! 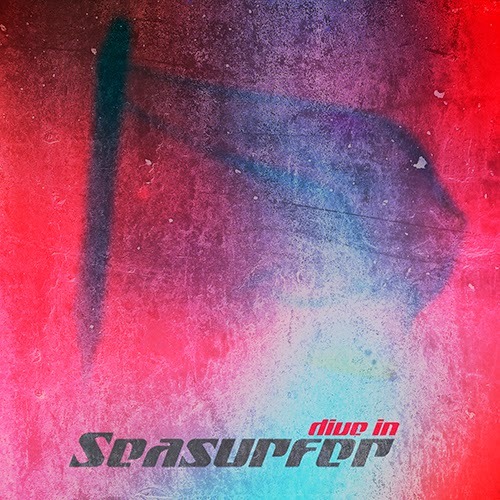 For a brief interval, from the 2013 creation of “Dive In” and its release, Seasurfer consisted of songwriter/guitarist Dirk Knight, singer Dorian E., and bassist Mikel Wegener. Since then the band line-up has changed considerably, with Dirk being the one constant. Formed in Hamburg in 2013, the original trio recorded this album of dream-punk tunes that incorporate dream-pop, rock, and punk influences. The result is a captivating blend of ethereal shimmer and scouring noise graced with Dorian E.’s imperiously icy, dead-ringer-for-Siouxsie Sioux vocals. At 10 tracks totaling over 50 minutes, the album runs long, but when the sonic mix is spot-on, the result is breathtaking. The dynamic battering of drums and cymbals (“Dragon Song”) competes with pinned-to-the-sky to plummeting guitar lines (“We Run”), textured washes of sound (“Hide”), and Dorian E.’s lightly accented, curling, but clear vocal tones (“Cloudjumping”).